Fishermen exaggerate. We’ve been doing it since our first cast. And, I thought Bret Stuart of 24/7 Guide Service had been guilty of this for the last several years as he pleaded with me to come up and fish with him on Oregon’s Mckenzie River for trout in the spring. One hundred, huh? I thought. I’d be happy with 25. Or 10. Having drifted for springers from 5am to Noon, Stuart wanted to see how well the rainbows were biting prior to hopping off the water for lunch. 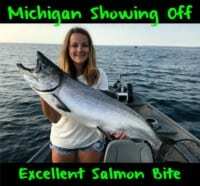 He switch gear, handed my friend a spinning rod with a single Pautzke Gold Label salmon egg on it and instructed him to cast towards the bank and get ready to reel. Seconds later we had a 10-inch rainbow. Within 30 minutes we’d caught and released more than two-dozen, all on Gold Label and Premium eggs, and without drifting more than 100 yards. We left for lunch and came back two hours later, ready to film an entire episode of Pautzke Outdoors in less than two hours. 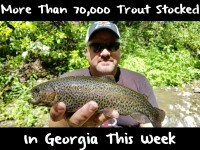 That afternoon, during that short time span, we caught a trout on almost every cast. Stuart went through a jar of Gold Label and Premium salmon eggs in less than an hour. Stuart placed a single Premium (Red Lid) Balls O Fire salmon egg on a hook, pitched it overboard and the moment it hit the water he started reeling in, allowing the egg to break the surface while reeling it upriver against the heavy current. Wearing polarized glasses you could see 10-12 inch rainbows chasing the egg, taking turns trying to eat the egg as Stuart reeled it out of their reach. Chase they did. In a short time, we caught and released dozens of trout (each) while filming Pautzke Outdoors. We did keep a few for a fish fry Stuart did when we finished, however. All the trout we caught were healthy 10-13 inch planters. We only caught two fish that were 14 inches. This is a numbers fishery, rather than a trophy fishery. With a drift boat, canoe, etc, you can catch as many trout as you feel like, or hire a guide like Stuart and have him bait your hook (like I did) so you spend more time hooking trout. Meanwhile, if you are going to do it yourself Stuart recommends using a size 4 bait holder hook on six-pound Premium P-Line with a single BB split shot just to get the egg below the surface. He uses Gold and Premium eggs, exclusively. Editor’s Note: Bret Stuart operates 24/7 Guide Service. 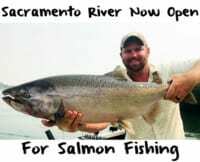 For more info on his guided Mckenzie River trout trips please visit http://fish24-7.com.